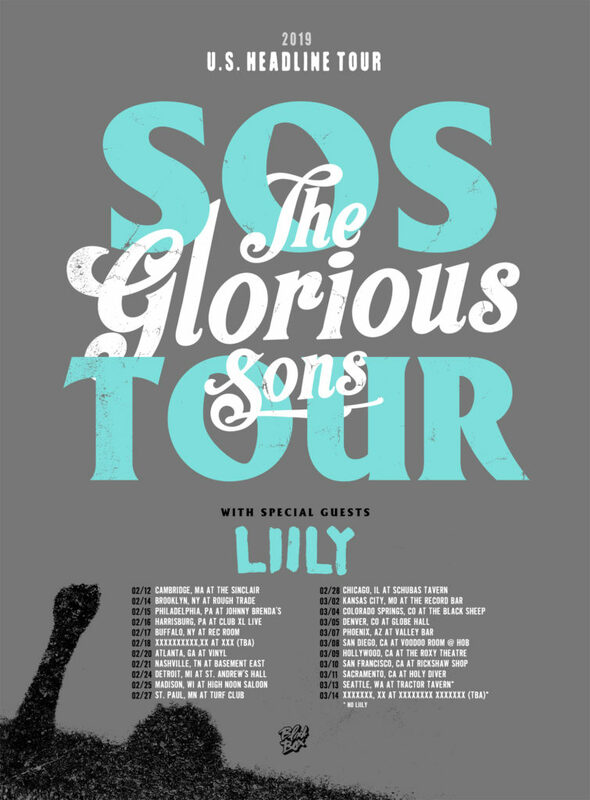 Los Angeles, CA — Canadian rock quintet, The Glorious Sons, have announced an extensive U.S. headline tour for 2019! The trek runs from February through March and sees the JUNO-award winning band returning to key cities including Brooklyn, Philadelphia, Atlanta, Nashville, Chicago, Los Angeles, San Francisco, and Seattle. LA-based newcomers, LIILY, will also provide direct support for the shows. Tickets go on sale to the public this Friday, November 16th and will be available to purchase HERE. Before the end of the year, The Glorious Sons will once again join The Struts on tour for a short leg of dates in Chicago, Des Moines, and Lawrence. 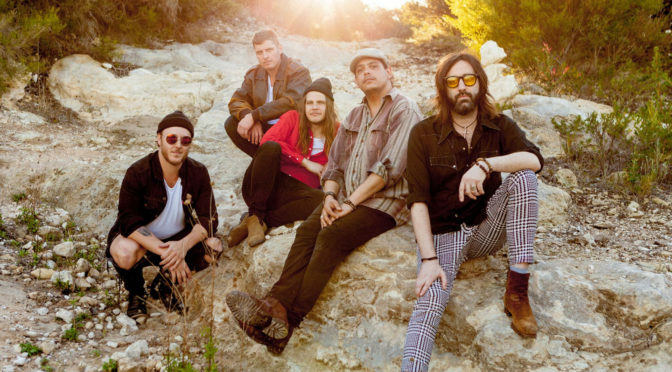 The five-piece is also confirmed for notable radio holiday festivals in Pittsburgh, Charlotte, and Washington, D.C., sharing the stage with the likes of Bastille, Andrew McMahon in the Wilderness, and Meg Myers. A full itinerary of shows can be found below. The Glorious Sons are having a massively successful year with their smash single, “S.O.S.” (Sawed Off Shotgun), which is skyrocketing on a global scale. The track is climbing the Spotify Viral 50 charts, hitting #36 globally and #15 in the U.S. “S.O.S.” also just cracked the top 10 on the U.S. Active Rock radio charts and has racked up over 3.5 million streams and 105k Shazams. Furthermore, it was added to Spotify’s marquee Rock This playlist in the #1 position last week and is prominently featured on their other top-performing playlists including Rock Hard, Totally Alt, New Noise, Rockin’ Vibes, and more. In other impressive news, the song recently held the #1 position on Apple Music’s influential playlist, “The New Rock,” in the U.S., Canada, Australia, and New Zealand. Los Angeles, CA — Just last month, Australian four-piece, The Faim, released their sophomore single, “Midland Line.” Today, the band is excited to share the official music video for the track, which fans can watch HERE. The video showcases the guys delivering a passionate and explosive performance, complete with their signature gold hue as the backdrop. According to Rock Sound Magazine, “Midland Line” is “coated in glorious sunshine” and is set to be the “soundtrack of your summer.” The song is streaming on Spotify and Apple Music and is also available to purchase on iTunes, Amazon, and Google Play. A full list of digital retailers can be found HERE. “Massive…you have to hear them right now” –Kerrang! On Saturday, April 21st, The Faim will head home to Australia for a tour with Sleeping With Sirens, which kicks off at Sydney’s Big Top and concludes in Auckland, NZ at the ASB Showgrounds on Sunday, April 29th. In May, the guys will return to the UK to complete their trek with Lower Than Atlantis and support PVMNTS for a quick run of dates, followed by a batch of headline shows at The Forum in Tunbridge Wells, Stereo in Glasgow, and The Anvil in Bournemouth. The Faim is also pleased to announce a series of UK summer performances at the Sound City, Great Escape, Slam Dunk, Camden Rocks, and Download Festivals. In August, the quartet will also play the esteemed Reading and Leeds Festivals. Tickets can be purchased HERE, and stay tuned for more exciting news from The Faim!